New Eastern Europe is the exclusive bimonthly news magazine dedicated to Central and Eastern European affairs. Our editorial team is based in Krakow, Poland. The project is a joint collaboration between the City of Gdansk, the European Solidarity Center and the Jan Nowak-Jezioranski College of Eastern Europe. The mission of New Eastern Europe is to shape the debate, enhance understanding, and further the dialogue surrounding issues facing the states that were once a part of the Soviet Union or under its influence. New Eastern Europe is not a scholarly journal, but takes a more journalistic approach with commentary/analysis from journalists, experts, analysts, writers, historians, as well as leaders and political figures from the East and the West. Our editorial philosophy is to provide a voice to the region. We maintain our independence from all of our funders and seek to print contributions that we feel best represent the region. Our editorial board is an international body made up of leading experts and opinion-makers from Poland and the region. “The first issue of this journal met all its expectations: well-known authors from the East and West, and a variety of countries and topics covered. The texts are not academically pompous or overly long and the layout is extremely pleasant. In sum, a thoroughly successful magazine debut.” Burkhard Bischof, Die Presse. 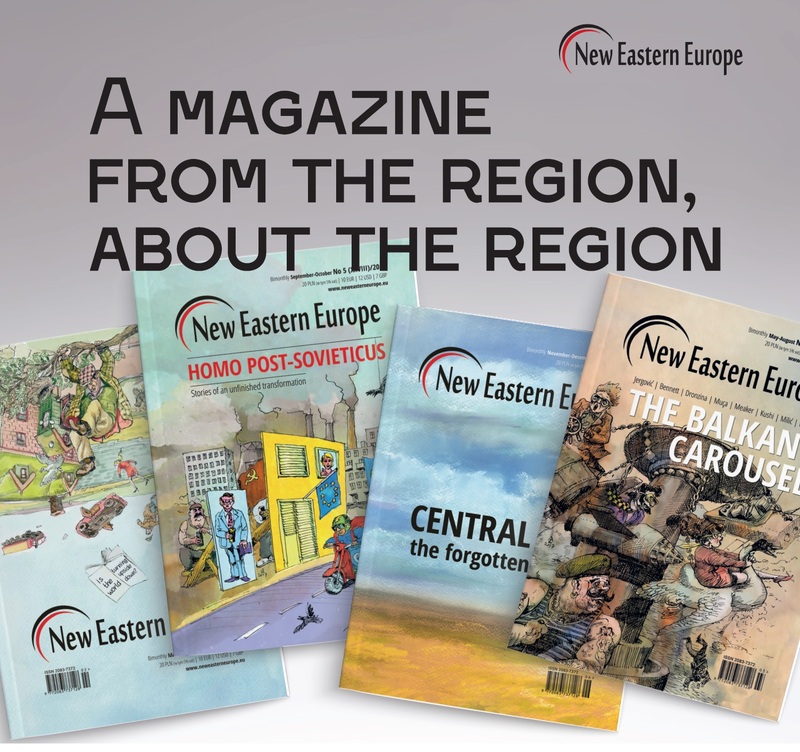 New Eastern Europe is a not-for-profit journal written in English. All proceeds and grants we receive are dedicated to producing a high-quality, engaging publication sharing the most current in-depth analyses and ideas that are emerging out of the region. All costs are put into making sure that not only is the journal rich in quality and content, but also that it also reaches a wide international audience. Print issues are for sale in Poland, Europe, North America and Australia. Our international distributor is Pineapple-Media. Digital versions are for sale through our digital distributor PocketMags online. We will also be available on mobile devices, iPads and Andriod. All proceeds made on the sale of the magazine are used for the sole purposes of making our enterprise more sustainable and ensuring the highest quality to our readers and maintain free online content (in addition to the print journal) providing most up-to-date information on current events and culture in this region.